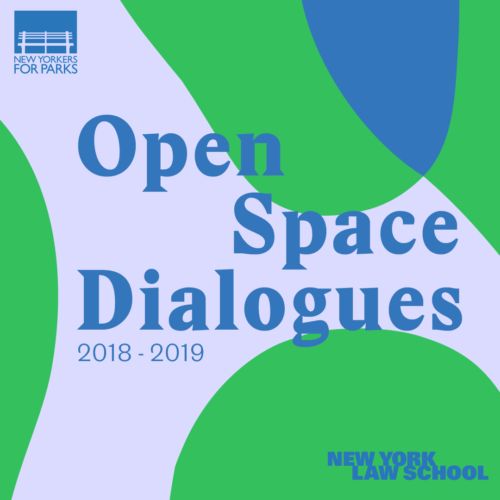 The Open Space Dialogues panel series addresses five significant topics related to open spaces in New York City, produced by New Yorkers for Parks and New York Law School. Leaders of New York City’s public realm present and respond to ideas about the spaces we hold in common, and answer questions posed by an engaged and energetic audience of park advocates, lawyers, civil servants, and civic-minded individuals. New Yorkers for Parks is the city’s independent advocates for parks and open spaces; New York Law School is an incubator for ideas, actions, and leadership in its role as “New York’s law school.” The Open Space Dialogues elevates public conversations about New York City’s vital infrastructure of parks and green spaces.